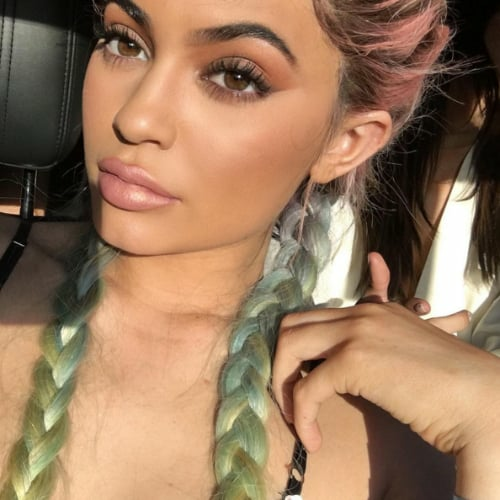 Global’s Make Some Noise Day is BACK and we're getting major inspo from these fabulous hairdos. Why are we banging on about hair? Well, it's all in support of Global's Make Some Noise, a charity that helps change the lives of young people through out the UK through financial grants to projects and helps spread the word and give a voice to charities that struggle to get heard. In the past Make Some Noise has helped fund workshops for teenagers with cancer, provide rehabilitation for children with brain tumours or support for young carers. Important stuff, we think you'll agree. On October 6, Global's Makes Some Noise Day takes place and as always, the theme is DRESS LOUD. (And yes, that means going full rainbow on your hair.) You can donate to Make Some Noise right here. So we're hoping to inspire YOU to get involved with Global's Make Some Noise Day with these bright and bold hair inspirations to make some noise for those people that often go unheard and to encourage you to give what you can to Global's Make Some Noise. Seriously, Melanie is constantly serving #hairgoals every time we see her. She's got so many different styles, but her signature half and half looks are the best. Throw a pink to purple ombre on top of that? Everythingggggg! Let's throw it back to 2010. Remember when Rihanna went bright red for her LOUD album era? Iconic. A legend. And the absolute benchmark for anyone who wants to rock a lobster red just in time for Christmas. Don't know if you know this but Halsey actually invented blue hair. True story. Queen of the fringe, amirite? Hayley knows her shiz when it comes to hair and she's literally dyed her hair every colour you could ever hope to imagine. She can rock pretty much anything, and still look like the coolest thing around. Yes they might all be wigs, but who says we can't get adventurous with a temporary look?! Listen honey, fake it until you make it and if that means going out and buying your pink wig instead of permanently dyeing your hair - do itttttttttt! Before Joanne was born, Gaga's hair changed more than the weather. Our favourite look? The yellow highlighter aesthetic. HAIR DYE ISN'T JUST FOR GIRLS! 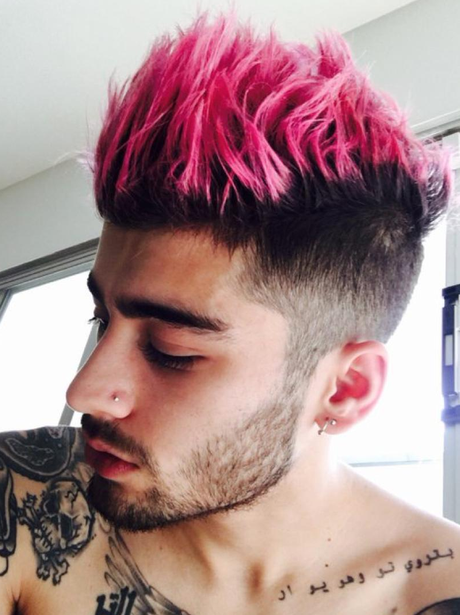 Don't know about you but Zayn's little venture into the world of hot pink locks is up there as one of the best hair transformations in recent years. In fact, we're off to go copy his look right now. Remember when Katy Perry ditched the wigs and dyed her ENTIRE head blue? That was a moment. And we're still low-key dreaming we could pull the same stunt years later. Pop culture legend. Businesswoman. Mom. Hair dye icon. A girl has blue hair. Just because your hair is dark, doesn't mean you can't have as much fun as those blondies out there. Daenerys would be SHOOK if Arya Stark showed up the claim the Iron Throne looking as incredible as this. Red. Red and Green Blue. Pink. Rainbow. Bella has done it and SLAYED it all. Global's Make Some Noise Day takes place on October 6. For more info, how you can take part and donate, click here.